We are living in a world where fitness has evolved from being a good-to-have to becoming the utmost essential. We may have been taught lessons to keep our body and mind healthy right from the time when we were kids, but the daily grind of life has more often managed to put all of that wisdom on the backburner. Not anymore, though! echnology is bringing a new wave of fitness consciousness. At the center of it all is fitness trackers. The fitness and activity tracker space has been witnessing a lot of developments over the past few years, thanks to a growing audience for such devices. What started out as a simple strap-to-your-wrist device to track your walking or running steps, has now transformed into a standalone tech that helps you keep a check on the calories consumed in a day to tracking sleep at night and further to monitoring heart rate. 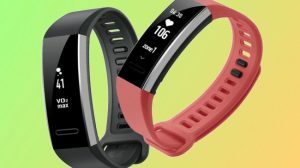 But just like every other tech space, in the beginning, we saw that fitness tracking devices were coming with hefty price tags, now with more and more players diving into this space, we are seeing price tags getting lighter and not digging too deep a hole in our pockets. But the budget is not the only deciding factor for buying a fitness tracker. There are a whole lot of benefits that even the most reasonable fitness trackers offer. Check for capabilities like lasting battery life, swim-proof, durability, inbuilt camera, etc. We have compiled a list of 10 such fitness trackers who will enable you to make that journey from unhealthy to fit with accurate monitoring and won’t force you to shell out a bomb. Track your steps, distance covered, calories, and much more without worrying too much about the device getting its battery drained out. 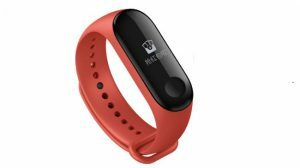 This wearable by Xiaomi is among the cheapest and most comfortable wear from this list. Plus points for the heart rate monitor. The design remains on lines of earlier versions that Mi fitness brand range offers. 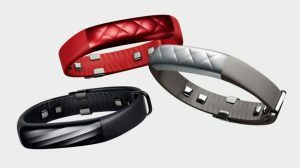 The good thing about Mi fitness brands is that their strap quality is good making the band extremely durable. Unlike the previous versions though this model displays a lot of information on the screen. 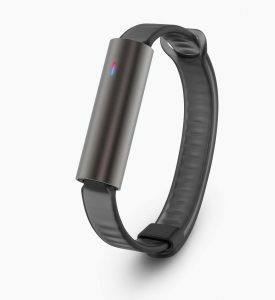 The problem area with Xiaomi bands, however, is inconsistent distance tracking that you can test while running on a treadmill. One of the leaders of the tech world, Huawei is keeping things really smart and really economical with its slim wearable that boasts of a large color screen and a host of smart features. Use its sensor feature for monitoring different activities such as sleep or run ( it won’t miss a step because of its accurate counting capability) or even use the wearable as a shutter for the camera on your phone. Capturing photos from Huawei fitness brand makes clicking candid selfies much easier and a lot of fun. Moreover, this is something similar to what extremely expensive phones that come with a stylus offer, and at a very reasonable price instead! 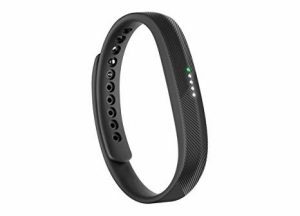 Any list that contains a range of fitness tracking device cannot be complete without including Fitbit, whether the list is made with a focus on feature or price. The Flex 2 tracks your calories, activities, and its sensors do a great job in monitoring your sleep patterns. You can check out the results on your smartphone app with which it can sync wirelessly. It also happens to be one of the most budget-friendly wearables on the list. Sleeker and cooler, Fitbit Flex 2 comes in a variety of strap colors to choose from. It’s some slim that you can even wear it with other hand accessories without giving your wrist a bulky look. But apart from sitting pretty on your wrist, this tracker has a clever-enough algorithm to not include arm movements you make routine arm movements ( instead of those that happen while actual exercise). So, the accuracy is pretty good. Coming at a very reasonable price, Moov Now packs a powerful punch with its range of features, boosted further by the 9-axis accelerometer. Some of the top features of Moov Now include great battery life, fitness updates, sleep monitoring, and run coaching. What it does is that it makes the device abundantly smart when tracking your movements, be it while working out or sleeping. A waterproof device, it serves as a much-recommended cardio fitness level tracker. The design design is probably the best thing about this fitness tracker. It is sleek and light wear, with a small button on the top, which you can click when kickstarting your exercising or to sync with your fitness stats. A highly capable device, Garmin Vivosmart 4 is a great addition to the ever-growing list of must-haves for fitness freaks. While it performs the standard functions of tracking your motion activities like running, working out accurately, its Pulse Ox² sensor does a great job of monitoring your REM sleep and oxygen saturation levels in your blood when you are asleep. While everyone is up at ‘keeping’ fit, who would have thought about ‘sleeping’ fit? 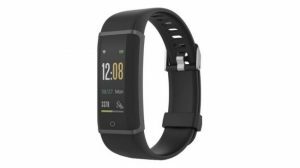 However, the thing to keep in mind while buying this fitness tracker is that it isn’t the best device if you wish to track performance on different sports. Rather, this device takes a broad look at all your combined fitness activities. Whether you are sweating it out in the gym or doing your daily jog or simply taking a little walk in between work, TomTom Touch Cardio helps you stay on top of every activity and non-activity, with features like the pedometer, sleep tracking, steps tracking, etc. Why it makes it to this list is because of its in-built body fat scanner. With this feature, you know which parts of your body need more attention. It even has a comparisons tool which lets you compare your different workout sessions. The pros of opting for TomTom Touch Cardio – sleek and light design, small but clear monochrome display, waterproof, and solid metrics to measure your fitness. The cons: Pigmented software and very basic notifications. There is no GPS in the band, and you can’t expect to work it like a smartphone – something that most people look for in a fitness band nowadays! Trust Lenovo to give you the best of tech at the most affordable of prices. With this fitness tracking device, Lenovo packs powerful sensors and different modes for you to focus on your workout and track other activities like sleep. Further enhancing the product is the bright 0.96-inch display. This tracker works great combines with Android as well as iPhones, which means you don’t need to buy an Apple watch ( and get to save on all that money). Setting it up is easy. Having completed the syncing, you can track daily targets, receive the sedentary reminder, and will also be able to receive all your notifications from Whatsapp, Skype, etc. on this device. Great to have if you are always on the go! Among the sleekest looking wearables from the list, Misfit Ray has the right mix of basic and advanced features. It comes equipped with a smart button to make tracking a matter of just a tap, and its replaceable batteries have a long life of about 6 months. Plus, it is swim proof! As far as the design is concerned, it measures just about 38mm in length and weighs light at 8g. The band is waterproof. 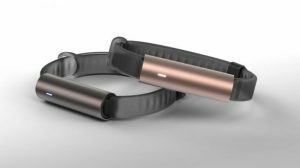 However, the best thing about the smart design of Misfit Ray is that the straps very well locked into each end of the Ray, leaving little scope of it detaching from the band, and thus very little chances of getting lost or stolen on busy streets. Important: This device is an activity tracker, and shouldn’t be confused with a sports watch. Therefore, you don’t get a heart rate monitor, sleep tracker, or GPS. You can count steps, calories burnt, etc. As a more budget-friendly version of Ray, the Misfit Flash device keeps things interesting and super useful when it comes to monitoring the different activities during the course of the day. Rest assured, the small price tag doesn’t reflect on the performance of the device. It’s waterproof to 96 feet in depth! Has a replaceable coin battery with a six-month life, and works with both Android and iOS devices. Because it is a cheaper version, the body’s made of plastic, which can give it a cheap look. It won’t show step count and the heart rate monitor isn’t also a feature you will find in this device. 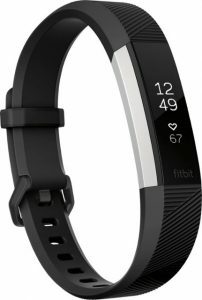 Up until some time back, Fitbit Alta HR wouldn’t have made this list, but thanks to the recent drop in its prices, those on a budget can very well afford this one of the most impressive offerings from Fitbit. It is powerful, smart and packs a whole lot of features in its slim frame. ItsIt’s sleep monitoring functionality is highly impressive, the auto exercise recognition capability is on-point, and also tracks and measures your fitness performance on relevant metrics. 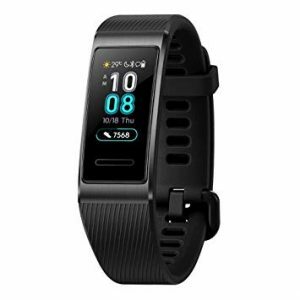 The downside to this device is that it isn’t waterproof, doesn’t come with dedicated workout modes, misses out on guided breathing, and does not have connected GPS abilities. Simply for how efficiently and accurately the above-listed devices help keep track of our activities and fitness, they are now a must-have for everyone. The fact that these devices are evolving to perform other functions, like getting connected with our Smartphones for calling or playing music, just serves as the cherry on the cake. So, have you been struggling to find workout motivation? Get one of these uber cool devices for yourself and see motivation cozying up to you!